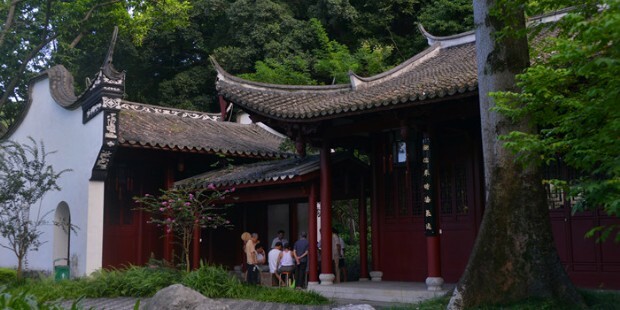 Experience Fuzhou in just one day, you will visit West Lake Park, which has a history more than 1,700 years and is the best perserved classical garden in Fuzhou. 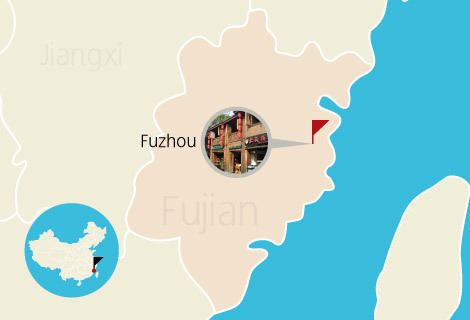 You will also go to Lin Zexu Memorial Hall and Yu Mountain on this Fuzhou essence one day tour. Entrance tickets fees to the attraction listed in the itinerary. Coach transfers between hotel & scenic spot. You will be picked up at your hotel at about 9:30AM, then you will be transferred to explore the natural scenery and traditinal streets in Fuzhou. You will visit West Lake Park, Yu Mountian, Hualin Temple. You have free time at Three Lanes and Seven Alleys and Nan Hou street for the rest of the day. At about 6:00PM, you will be sent back to your hotel. 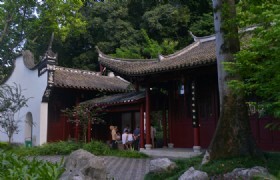 The oldest classical Garden in Fuzhou built more than 1,700 years ago. The area of West Lake Park is about 4 hectares and the water area is over 30 hectares, there are three islands in the lake and they are Kuaihua Yu, Xieping Yu and the Yaojiao Yu. The Dragon Boat Races are held in West Lake during the Dragon Boat Festival every year. Yushan Mountain is located in the center of Fuzhou's downtown area, it has been an attraction since China’s Warring States period (476-221 BC), has a number of historical sites, including a white tower, temples, platforms, wells, palaces and over 100 stone inscriptions. Located on the southern slopes of Mount Pingshan in the north of Fuzhou, It was built in 964, Its main hall is known as the oldest surviving wooden building in south China and was confirmed as an important heritage site under state protection in 1982. It is an important symbol of Sino-Japanese cultural communication, exerting great influence on Japanese architecture in 12th century. A cluster of ancient residential buildings dating from Tang (618-907) and Song (960-1279) dynasties. Lots of traditional style shops, teahouses and restaurants are hidden in the streets. It is the best place for a weekend shopping. 9 buildings have been listed on National Heritage List in 1982. Three Lanes and Seven Alleys is a typical example of city street system of ancient China. The Nanhou Streetis the central axis, the original three lanes were in the west and the seven alleys are in the east. The lanes refer to Wenru Lane, Yijin Lane, and Guanglu Lane, whereas the alleys are Huang Alley, Gong Alley, Yangqiao Alley, Langguan Alley, Ta Alley, Anmin Alley, and Jipi Alley. As Jiqi Alley, Yangqiao Alley and Guanglu Lane have been reconstructed into driveways, now only two lanes and five alleys are preserved. Yu Mountain Scenic Area: Yu Mountain is also called 9 Immortals Mountain. Tradition has it that during the Han Dynasty, 9 brothers of the He family sought to make a medicine for immortality at this very place. Three Lanes Seven Alleys: Divided by Southern Street as the central axis, the original three lanes were in the west and the seven alleys are in the east. The layout dates back to the Tang (618-907) and Song (960-1279) dynasties, almost 1,000 years ago. The rate shown above is for group size of 4 adults. On next page you will see rate for different size of group from 1 adult to 15 adults. A minimum of 1 Adult(s) per booking is required. For 2 seniors or 1 adult and 1 senior, please select as 2 adults.